ASPHostPortal is the leading provider of Windows hosting and affordable IIS 8.5. Our price starts from $4.49 per month. 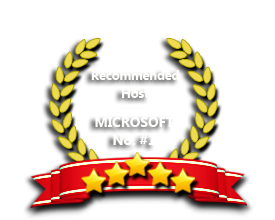 ASPHostPortal.com is proud to be one of the first ASP.NET Hosting providers to offer IIS 8.5 Hosting on our most improved Windows 2012 R2 hosting platform. It makes easy to use the most current version of websites tools like Visual Studio and WebMatrix. With our IIS 8.5 Hosting will increase your website security and reliability. We also allow Full Trust on our IIS 8.5 Hosting. We're proud to host all of our sites in Amsterdams, USA and Singapore. We use special server technology on our web servers to offer the fastest loading time for your websites. Stable, Secure and Reliable IIS 8.5 hosting service. 24/7 world-class qualified and experienced support. Technical support staff with years of in-depth hosting experience! Our sophisticated self-healing network looks after itself when network conditions change. We’re willing to prove our uptime. Externally hosted monitoring results are published on our website to ensure you can be confident that we’re telling the truth. Our Windows Cloud Hosting fully supports IIS 8.5 hosting. You are more than welcome to try our Free Windows Cloud Hosting before you decide to buy. You can get your Free Cloud Windows hosting account up and running within the next few minutes.